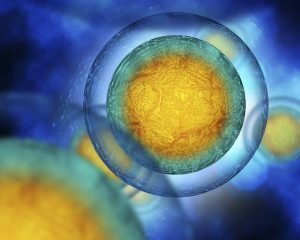 Just over 10 years ago, Shinya Yamanaka, a stem-cell scientist at Japan’s Kyoto University, discovered that mature adult cells could be reprogrammed back into an embryonic-like state. Because these induced pluripotent stem cells (iPSCs) can be coaxed to differentiate into different types of adult cell, they hold great promise in regenerative medicine. For this remarkable discovery, Yamanaka shared the 2012 Nobel Prize in Physiology or Medicine. 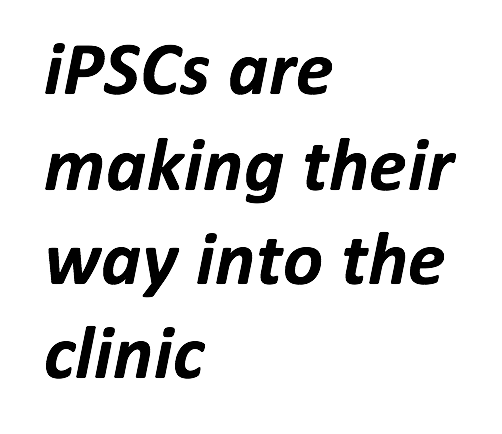 Now, these iPSCs are starting to making their way into the clinic. In 2014, a Japanese woman at became the world’s first patient to receive iPSCs for age-related macular degeneration, a common eye condition that can lead to blindness. Masayo Takahashi, of the Kobe City Medical Center General Hospital reprogrammed the patient’s own skin cells to iPSCs and differentiated them into a 1.3 by 3.0 millimeter sheet of retinal pigment epithelium (RPE) cells that were implanted into the patient. This past March, Dr. Takahashi treated a second patient but used reprogrammed iPSCs from a donor rather than from the patient. This allogeneic approach, if successful, could make these types of therapies more accessible and affordable. Although iPSCs resemble ESCs in most ways, scientists have found that iPSCs often have variations in their epigenetics, methyl marks on the DNA that determine when genes are expressed. 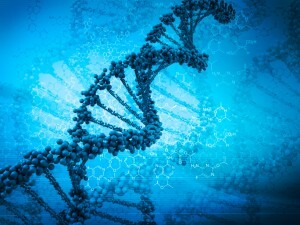 Interestingly, a recent study found that iPSCs made from the cells of identical twins to be different. Of note, the procedure for one patient scheduled to undergo the same treatment discussed above for macular degeneration was cancelled. The reprogrammed iPSCs were found to contain genetic abnormalities once they were differentiated to RPE cells and so were not implanted (Nature). This is an important safety consideration. 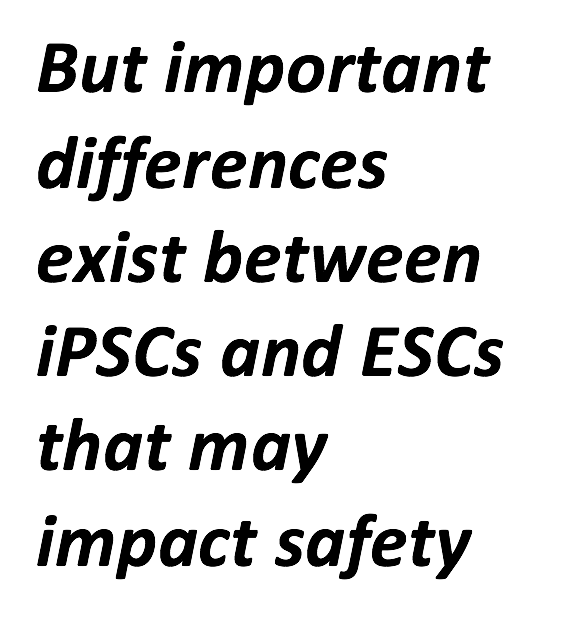 In addition, when using iPSCs developed from a donor there is always the risk for immune rejection because there is not an exact genetic match between donor and recipient. To decrease likelihood of rejection, donors can be matched to recipients based on genes that code for human leukocyte antigen (HLA) proteins involved in triggering immune reactions. Yamanaka, who pioneered iPSCs, believes that banked cells should be a close enough match for most applications and is working to establish a bank at Kyoto University based on genes that code for three HLAs. By March 2018, they expect to have HLA-characterized cell lines from 5-10 different donors to match 30–50% of Japan’s population (Nature). Although Japan has been at the forefront of iPSC activity, the rest of the world is also recognizing their potential. 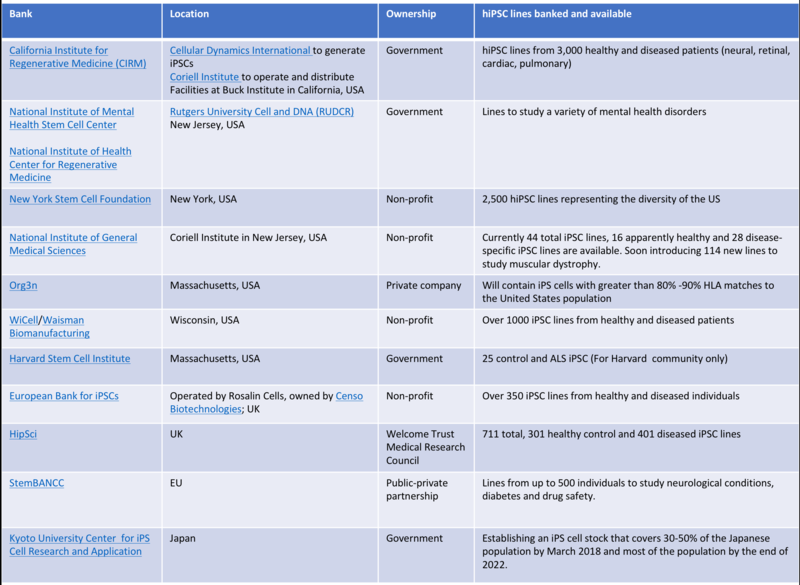 Several groups in the US and Europe are also developing repositories to advance their use in research and in the clinic. Collectively, within 12 banks and repositories, there are thousands of iPSC lines banked and available. See table below for more details. While iPSCs have proven to be useful in drug discovery and development, using these cells therapeutically is still unproven. 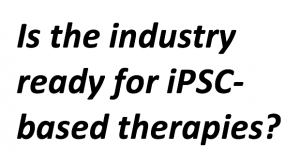 But it appears that investors are warming up to the idea of iPSC-based cell therapeutics. In December 2016, Bayer and Versant Ventures joined forces to launch the iPSC therapy company BlueRock Therapeutics with a whopping $225 million Series A. The company plans to use their iPSC platform to develop an allogeneic universal cell strategy for degenerative diseases including the CNS and heart, replacing cells that were lost to disease with healthy cells. They expect to be treating patients with motor symptoms of Parkinson by the mid-2018. 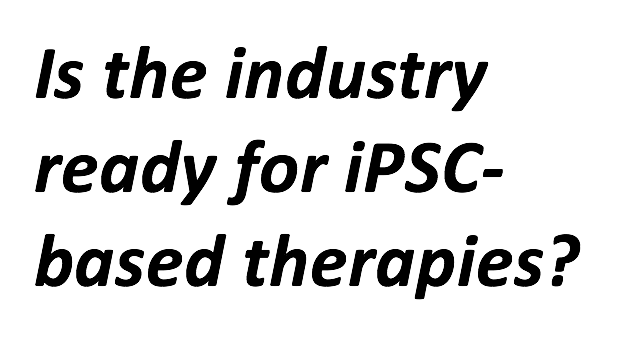 In addition, companies are beginning to pivot, using their iPSC platforms for cell-based therapies. For example, Fate Therapeutics, one of the best-known stem cell start-ups established in 2007 originally raised $47 million to use iPSCs as a platform to screen for stem cell modulators or small molecules and biologics that modulate cell fate in vivo. Now they are using their platform to reprogram immune cells to develop allogeneic, off-the-shelf, immunotherapies. Says Michael May of the Center for Commercializing Regenerative Medicine (CCRM):“Shifts in the [cell therapy] industry come in waves. Five years ago, it was MSCs. Now its CAR-T. Next it will be iPSCs.” ……Time will tell. Barbara Nelsen, PhD, MBA, is the founder of Nelsen Biomedical, a consulting firm serving the life sciences industry. She brings over 20 years of experience working on research, R&D management business and strategic development challenges within the biotechnology and pharmaceutical industries. Contact her here. This post was written by Brittni Peterson recently earned her PhD and is now a consultant for Nelsen Biomedical, where she brings her experience in market research analytics, opportunity assessment, technology commercialization and strategic planning.